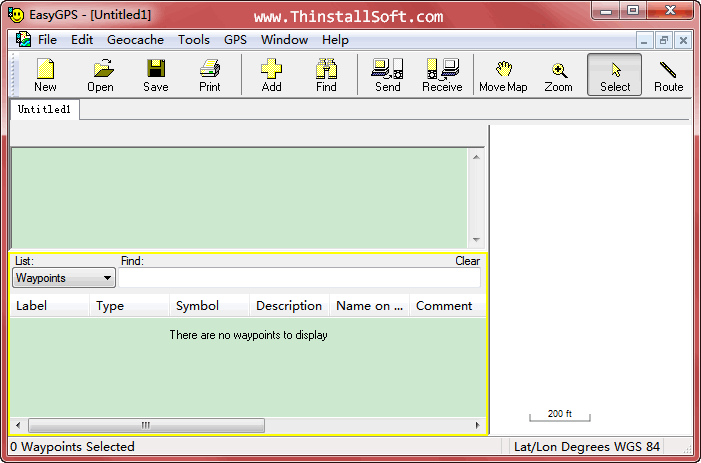 EasyGPS is a free GPS software for various GPS Receiver devices including Magellan GPS, Lowrance GPS and Garmin GPS, etc. You could use EasyGPS to create, edit, and upload / download waypoints, routes and tracks between your computer and your Garmin, Magellan or Lowrance GPS. EasyGPS works with hundreds of GPS receivers including all of the latest models from Garmin, Magellan and Lowrance. Note: Run EasyGPSPortable.exe to launch EasyGPS Portable. The current version is EasyGPS 4.93. For free GIS/Map software, you could also try GPSBabel. Download data from your GPS. Send data to your GPS. Convert coordinates from one coordinate format or datum to another. Send data from Excel, ArcGIS, AutoCAD, MapSource, Google Earth, or another program to your GPS. Transfer GPS data to a spreadsheet, GIS, CAD drawing, KML file, or different program. Get a map of a specific address. Calculate the area or acreage of an object. This entry was posted in Internet Tools and tagged easygps, easygps portable, garmin gps software, gps, gps software, gps tracker, lowrance gps software, magellan gps software. Bookmark the permalink.